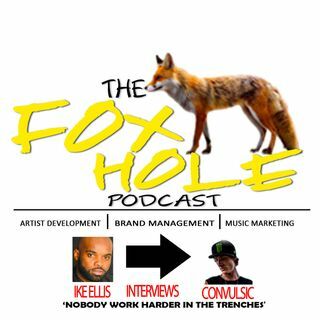 Ep#7- The Fox Hole Podcast Interviews "Convulsic"
Has your playlist become blah and got you all down? No worries… there’s a cure for your depression! It is called “Electro-Convulsic Therapy.” The man with the medicine is Erik Hale, a San Diego based dubstep artist and producer. Convulsic answers the next questions in the interview with IKE ELLIS. Great interview for artist development, promotional techniques, and knowledge in the music industry. Explain the meaning behind your name? What type of music do you currently make? How long ... See More have you been doing music? At what point did you realize you wanted to do music full time? What challenges do you face now as oppose to when you first started? How important is artist development to your career? What direction are you trying to go as independent artist? Tell us more about being labeled on the billboard charts? THE NEXT BIG SOUND? What does your target market look like? How do they dress? Where do the hang? How do you feel about made up numbers versus obtaining a real fan base through hard work and dedication? How do you feel about being 3-dimensional type artist versus 1 dimensional?